This week, we’ve been making great headway towards finalizing the alpha release, but most that work is being done in areas we’ve already talked your ear off about! Instead, I thought it might be fun for us to make a confession this week. Something you’ve maybe realized if you’ve been following Gears of Eden for a while … when it comes to our story we play those cards pretty close to the chest. It’s entirely possible that we’re a little too protective of our story, but we’d hate to steal a moment from you by being too heavy handed. However, every book I’ve ever read, every game I’ve ever played, and every movie I’ve ever seen at least gave me a brief description of what the story would be about. It’s so you know the difference between entering Toy Story and Apocalypse Now. We recognize the need to let you in on more of our vision as we progress, but that doesn’t mean we’re going to give up the story that easily. At least not for a while. No, instead, we’d rather turn that process into actual content to help tide over our audience until the game is finished! After a lot of thought, we decided to create a series of short stories that work as little vignettes into the the world we’re constructing. This way, we can keep from spoiling the player’s journey, but still let you see Gears of Eden in motion. These stories will be focused on demonstrating our world and themes, and in some cases, might even lead up to the player’s adventure! As a writer, that sounds like a lot of fun, but as with anything else, it’s a process. And that process begins with looking at the history and world of Gears of Eden. We’ve spent a lot of time working on this lore so that we understand how the situation of this game started and why it has progressed in the way it has. At the same time, it’s also important to understand what parts are relevant to the characters in the story! Just as we aren’t constantly thinking about the histories of our own cultures, your characters probably aren’t thinking about that either … unless they are, and that’s the next part of writing one of these short stories. Given the limited nature of a vignette, it’s absolutely vital to understand the perspective (be that a character, a location, or something else you can fix your story to) you’re writing from and to keep yourself focused there. The example I used when first bringing this idea up was someone who needed to go buy the week’s groceries. The plot itself isn’t about political relations or interpersonal conflict, it would be about the character going to the grocery … emphasizing the character. Because honestly, groceries aren’t interesting, but the person buying them might be, and it’s through your character that you can talk about those larger concepts. If, of course, it’s something they care about. Writing is fun, but it’s also messy. We have the romantic vision of writing that involves sitting with a notebook in some rustic hotel out where the world can’t find you, can’t pull your attention. 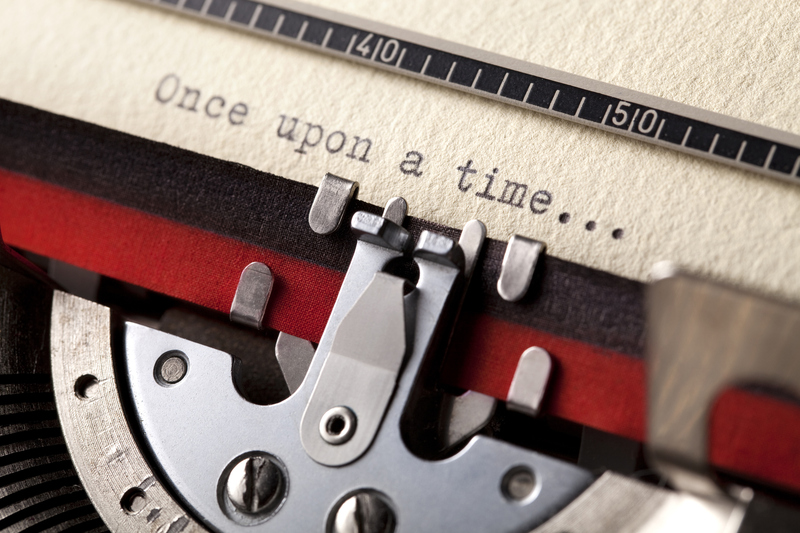 When it comes to storytelling though, the operative word is telling. Your skill and merit aren’t rooted in your ability to come up with cool ideas; we all day dream. If you want to write, you’ll be judged on your ability to convince and compel your audience, and so you’ll need to edit. Every one of these Dev Updates are edited for content and clarity, and we’ll be doing the very same thing for each of those short stories. It’ll be a process with a whole lot of back and forth, but it means I get to write. That’s a pretty nice job, and well worth the process. That’s all for this week’s Dev Update, but we’ll be back next week, and we promise to be more focused on game development! Be sure to follow us on Twitter and Facebook to see that (and all things Gears of Eden, for that matter!) as soon as it’s available! Until then, thank you for reading and I hope you have a great week.